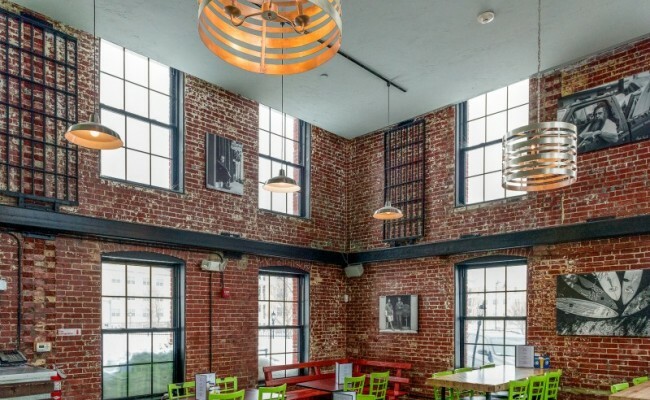 A&B Burgers commissioned Seger Architects in 2013 to design a trendy but casual space to blend harmoniously within the historic context of the multi-award winning, National Register structure known as the Salem Jail Complex in Salem, MA. SAI Project Architect, Dan Ricciarelli, was instrumental in implementing the initial development of the vacant, historic jail complex. Key to the development and the backbone of the proposal was the Jail’s historic adaptive use as a multi-use project. 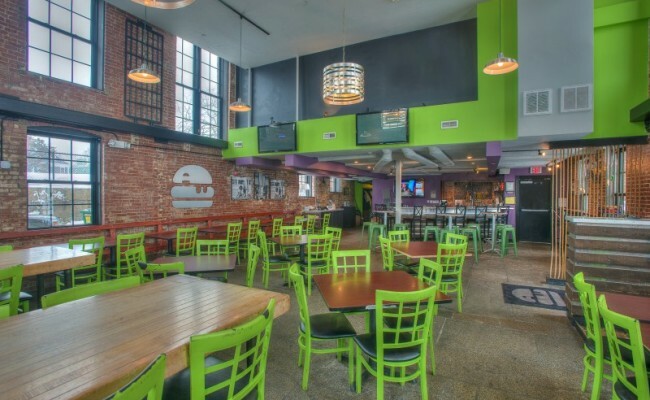 In the 1880 brick rear addition, a space was carved out on the grade level and fitted for a prospective restaurant tenant. SAI’s client A&B Burgers took over the space in 2012 from a previously failed restaurant and working with Seger Architects completely renovated the space imbuing their unique funky aesthetic and up-scale all american fare. 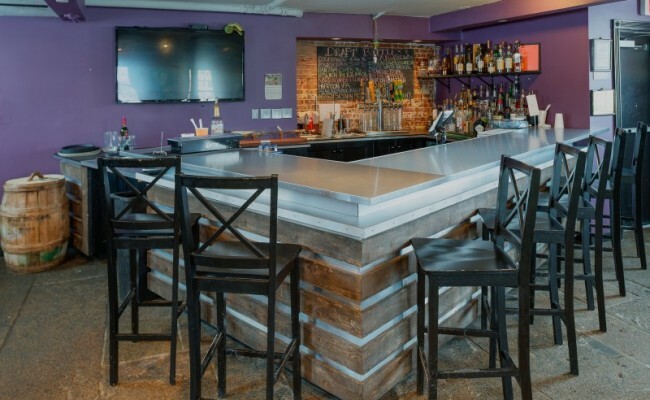 Natural materials together with the heavily rusticated interior masonry, former metal jail parts and stainless steel-like bar top and accents create an exciting eclectic, industrial feel to the space. 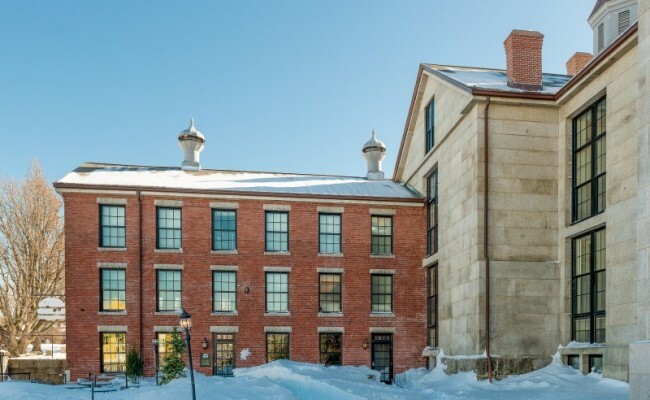 Seger Architects met the challenge of incorporating a modern intervention into a historically sensitive building and context. 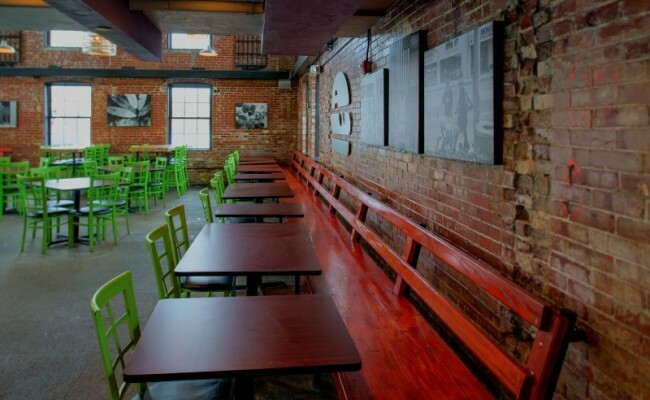 A&B Burgers situated in the Historic Salem Jail Complex continues to be an important icon in Salem’s rich architecture and vibrant restaurant scene.